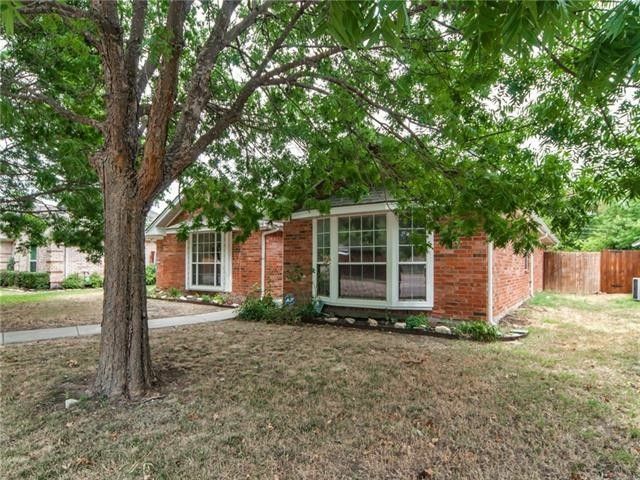 FOUR bedroom single story minutes from North Texas, TWU and 35-Downtown Denton. Fresh paint and carpet with today's stylish colors. Open floorplan with split bedrooms. Kitchen with breakfast bar open to the family room. Lots of windows make this home light and bright. The spacious living area features crown molding and wood burning fireplace with gas starter. Spacious master with separate vanities, tub-shower in the ensuite. Great backyard ready to entertain.